Humans have long gazed toward the heavens, searching to put meaning and order to the universe around them. Is the study of the sun, moon, stars, planets and comets. We bring you closer to the stars. Live a unique experience discovering the Universe with our observations and excursions. We are a team of professionals specialized in astronomical observation and scientific divulgation. The Canary Islands offer one of the best skies in the world and the Teide National Park is a perfect place to contemplate. 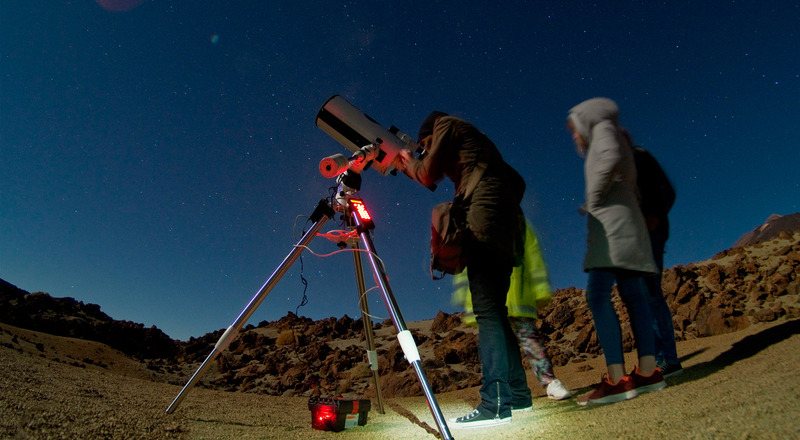 CATALOGED AS A RESERVE STARLIGHT, THE TOP OF TENERIFE GUARANTEE AN EXCEPTIONAL CONDITION FOR ASTRONOMICAL OBSERVATION AND THE STUDY OF THE UNIVERSE.